There’s a lot of rabble about makeup-of the surplus of high-end producers, of its flailing profitability,of the latest styles and trends. Apparently, its winter, so bold blues should be spattered across your eyes. Cool, right? People in general seem to forget why we use makeup in the first place. The media tells us we use makeup to try and fill in our imperfections where they don’t fit the “ideal” state of beauty. But this is wrong; and if you are using your makeup for this sole and petty purpose, you are always going to be disappointed with the face that peers back at you from the mirror. Makeup is not there to make you fit an idealized form.In fact, trying to fit that idealized form is impossible; we as a species are widely varied in our appearances. No two people look alike,yet we are constantly straining ourselves to fit one image of beauty. I certainly don’t follow any trends in makeup; mostly because I could honestly care less about what some actress or similar media-manufactured archetype is wearing. Those people flitting about in front of television cameras aren’t me–sorry to seem cliche, but they don’t know me and they don’t know my life. I am not going to let their preferences and fashion choices dictate what I do. Makeup isn’t about what other people are wearing. It isn’t even really about what makes you conventionally “pretty”. Makeup is about expressing yourself. It seems terribly simple, but so many girls (and boys– its totally cool for men to groom themselves as well) subject themselves to trying to fit this image, of the perfect valley girl or boy; when really, all you need to be beautiful is to do what makes you happy. 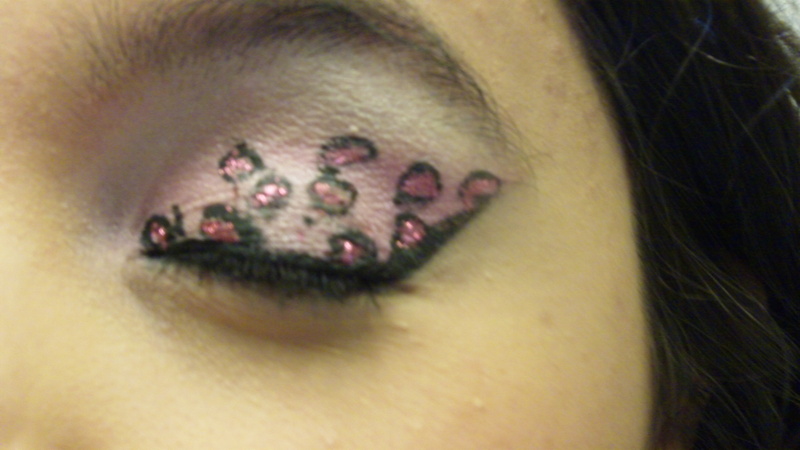 This entry was posted in Makeup and tagged Beauty, Cosmetics, Health, Makeup by Floresita de Luna. Bookmark the permalink.